CEDAR RAPIDS, IA – Basepoint Wealth LLC (www.basepointwealth.com), the largest fee-only wealth management firm in Cedar Rapids is proud to welcome Scott M. Cooley, CFP® as a Certified Financial Planner™ professional and Wealth Advisor. Scott joins Basepoint Wealth from Northwestern Mutual where he served as a Financial Advisor based out of Coralville, IA for nearly seven years. He joins the firm with significant experience working with a diverse group of clients, including significant experience working with those in fields of medicine, research and higher education. 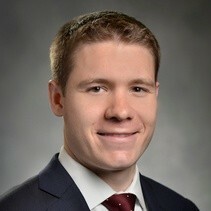 Landis T. Wiley, Managing Partner added, “We are excited to welcome Scott to our advisor team. His thoughtfulness and attention to detail in working with clients on complex planning and investment needs are a great fit with the principles of transparency and unbiased advice on which Basepoint Wealth operates”. Scott will be located at the Basepoint Wealth office at 4144 Golf Street NE in Cedar Rapids and can be reached by phone at (319) 826-1898 or email scott.cooley@basepointwealth.com. Basepoint Wealth, LLC provides comprehensive independent financial planning, tax advisory, and investment management services to clients throughout the United States. Basepoint Wealth’s integrated technology platforms, combined with over 130 years of experience among its team of CFA®, CFP®, CPA, ChFC®, and MBA credentialed advisors, provide a uniquely individualized wealth management process.